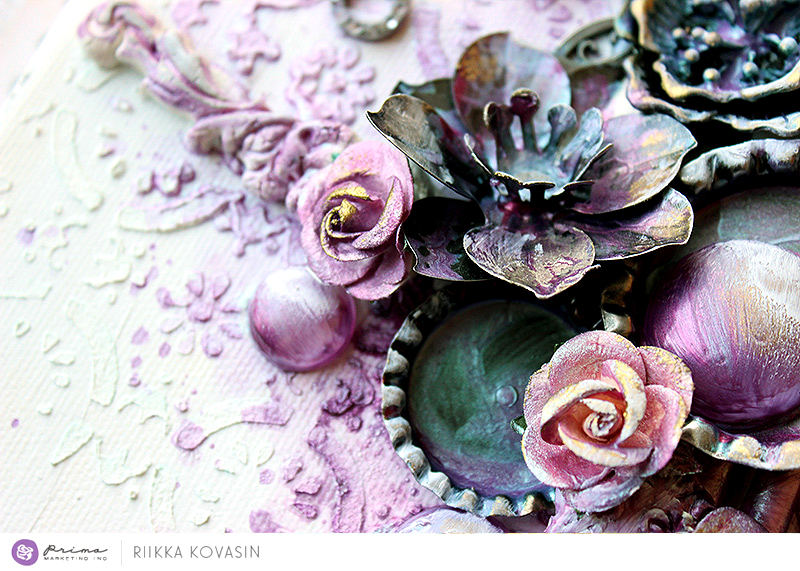 It's mixed-media day and we have four gorgeous projects for you, including a video, by Riikka, Nathalie, Anita, and Miranda! Finnabair's newest products are featured on each one, so click MORE to see MORE! When you create art you are bound to have an old paintbrush lying around. Don't throw it away! Our next two projects show two gorgeous ways to alter a paintbrush with Finnabair products! 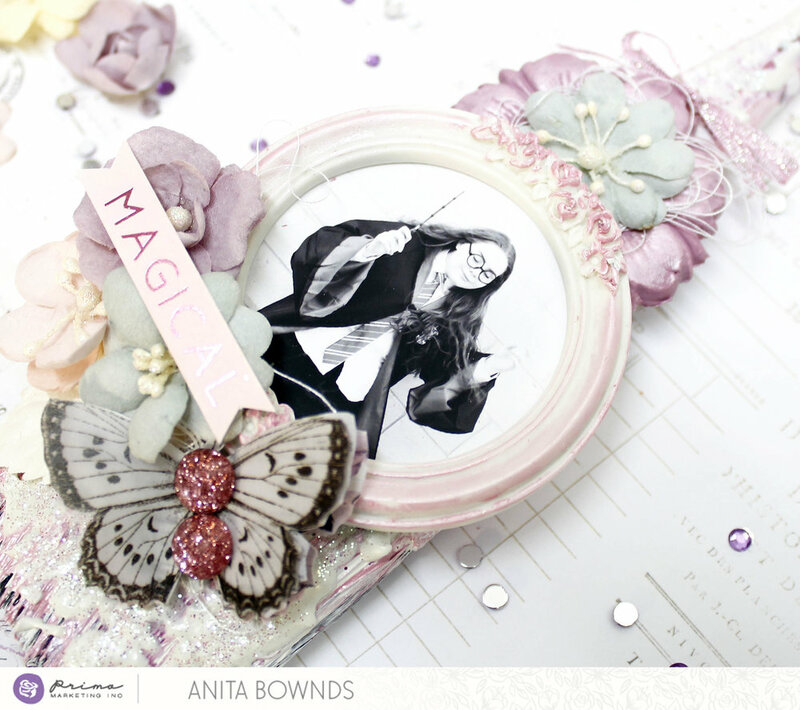 First up is this beauty by Anita showing off new Metallique Paints mixed with a touch of the new Lavender collection and a gorgeous Memory Hardware frame! "I also used beautiful Mechanicals from Finnabair. I glued everything with Heavy Body Gel and then I covered it with Black Gesso too. After that I used the magical Mica Powder Rust and gold to highlight my embellishments, then I used the RUST PASTE EFFECT Brown for a fabulous effect!! Of course, I added flowers!!!" Prima Products: # 964696 Art Extravagance - Rust Paste 250ml - Brown -# 964689 Art Extravagance - Rust Paste 250ml - Red -# 961797 Art Extravagance- Texture Paste - Graphite (8.5 oz.) -# 962586 Art Ingredients-Micro Beads: Bronze 57g -# 963705 Art Ingredients: Art Stones - # 961459 Art Basics - Heavy Gesso - Black (8.5 fl. oz.) - # 963910 Art Ingredients: Mica Powder Set of 6 - #963392 Mechanicals: Barn Stars 5pc. -# 961138 Vintage Mechanicals - Numbers -# 960230 Vintage Mechanicals - Mini Roman Numerals -# 963354 Mechanicals: Mini Stars 36pc. We'd love to connect with you on social media! Come follow us on any of our links below! And please share your projects so we can share the Prima love with everyone.